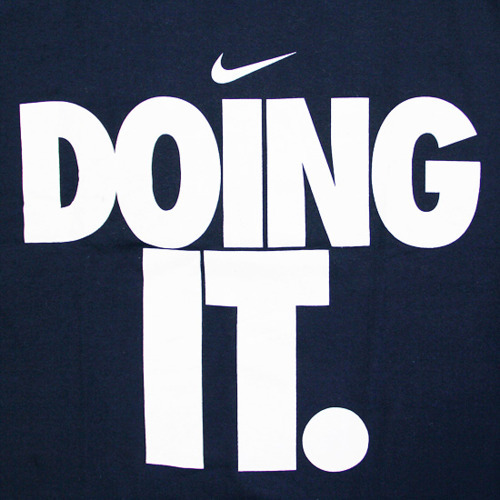 I challenge you to sign up for a race this weekend. What? Your city isn’t hosting one this weekend? Well you’re in luck! This weekend, on Saturday, January 21 is the Inaugural Twitter Road Race. The distance is a 5k (3.1 miles). If you want to learn more about it, see the Race Details per, the race director. Basically, Sign up, choose your own course (even a treadmill if the cold is too much! ), choose your own pace, and your racing buddies (4-legged friend?) if you like to run with friends. When you’re finished, fill out a form similar to your registration form with your official time. You can also tweet about your running using #TwitterRoadRace. Results will be posted in the 24 hours following. It’s not a competition, just a great way to have fun! This time of year can be challenging to get motivated, especially once the newness of New Years Resolutions starts to wear off. Also, what a great way to connect with other runners in the healthy-living community! 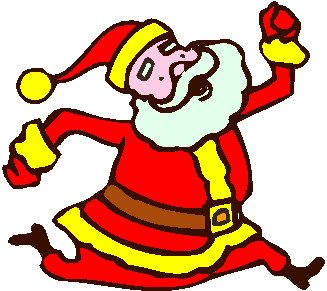 Check out who’s running on the registration page to see if you know anyone! I signed up…hope to “see” you there! P.S. Just incase you’re traveling or can’t do it this weekend, there is another virtual race next weekend called, Freeze Your Thorns Off 5k. Prizes are involved with this one! Happy Running!! 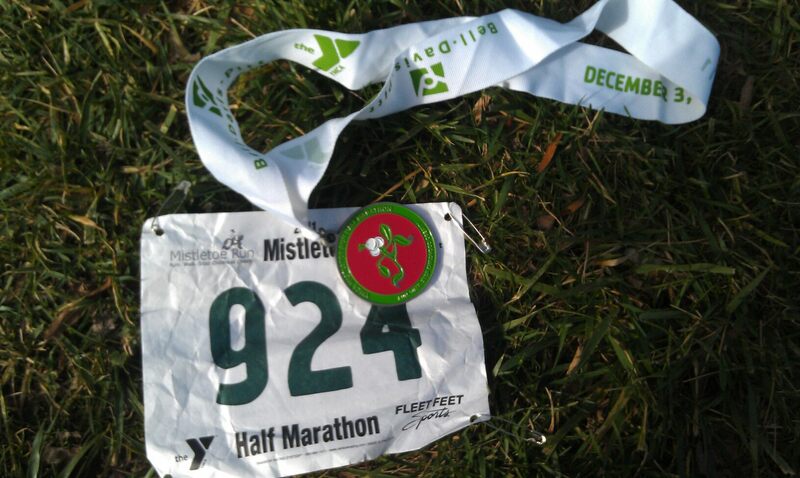 Holiday cheer is spreading into the running community as Saturday I participated in the Mistletoe 5k. 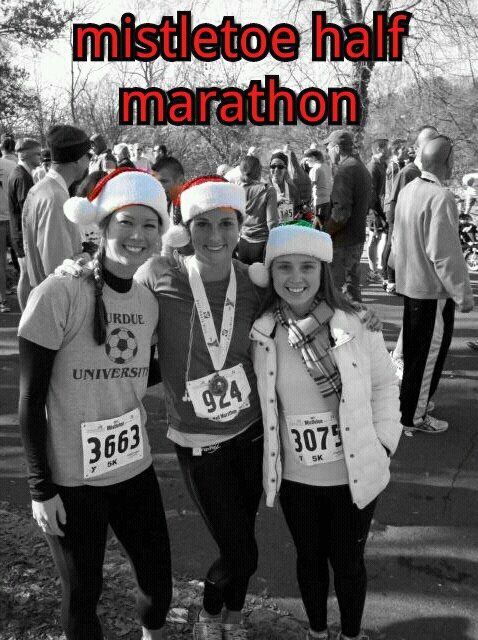 I was originally planning on running the half marathon but I got sidelined. Saturday began early with a 6:15am wake up call. I stayed with my friend, Tyna, the night before so I didn’t have to drive over to Winston-Salem by myself early. That extra 45 minutes of rest was much appreciated! 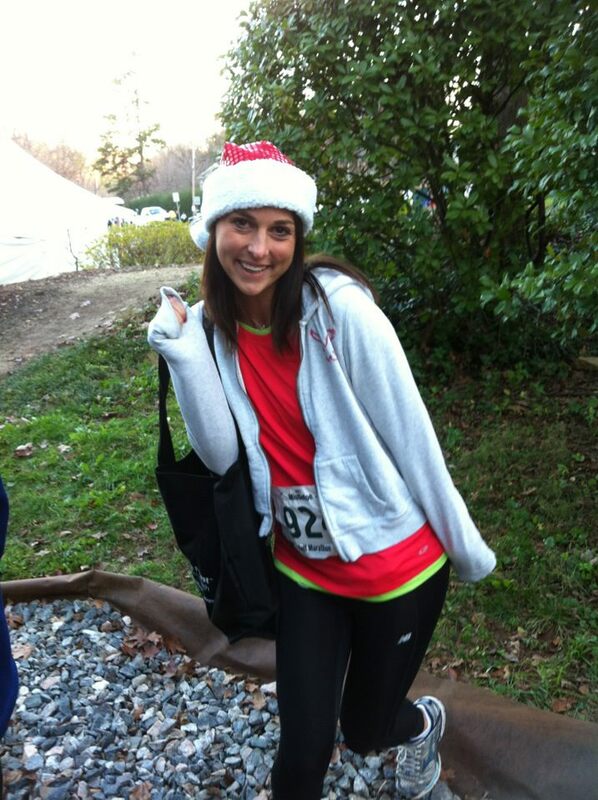 Our friend Jenna, who just moved to Durham, NC this week, also participated in the race with us! We got there early to register Jenna for the 5k and there was SUCH a long line for packet pick-up/race day registration. Because we have superior time management skills, we grabbed this photo op as we waited in line for 35+ minutes. The race organizers said last year they had around 2,700 participants and this year there were over 4,000 runners signed up! What a huge accomplishment by the organization and so much money raised to fight childhood obesity. YAY! So after Jenna got signed up we made our way to the half marathon starting line. Tyna was ready to run! 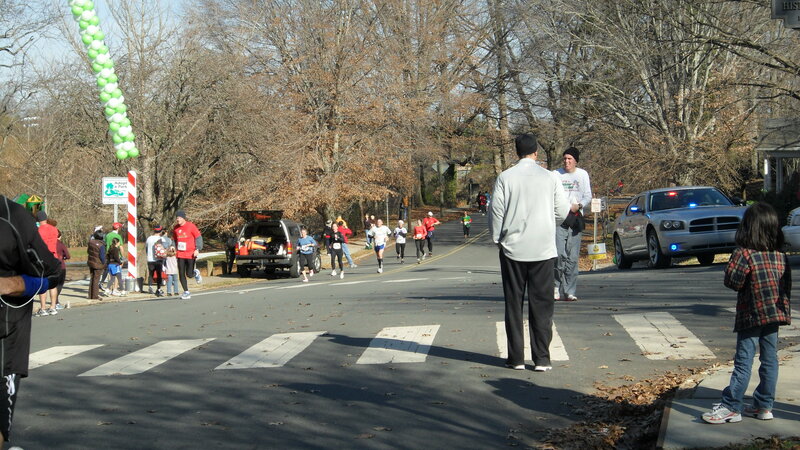 The gun went off and they began the 13.1 mile run through Winston-Salem. 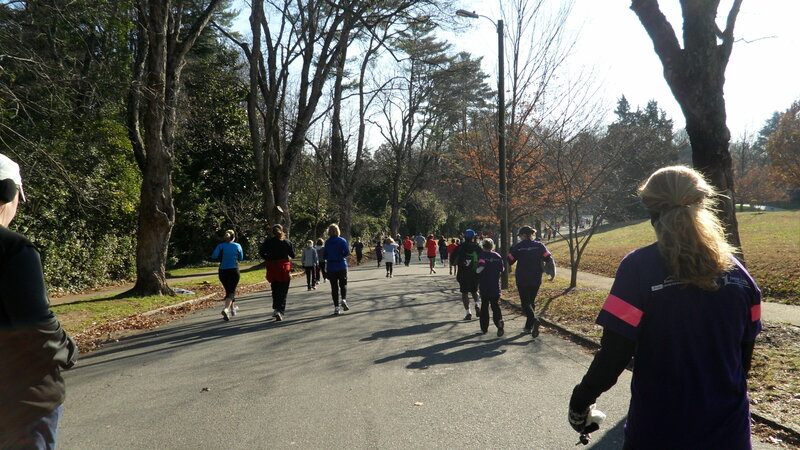 It was apparently a hilly course and they even got to run up to Wake Forest University’s campus. 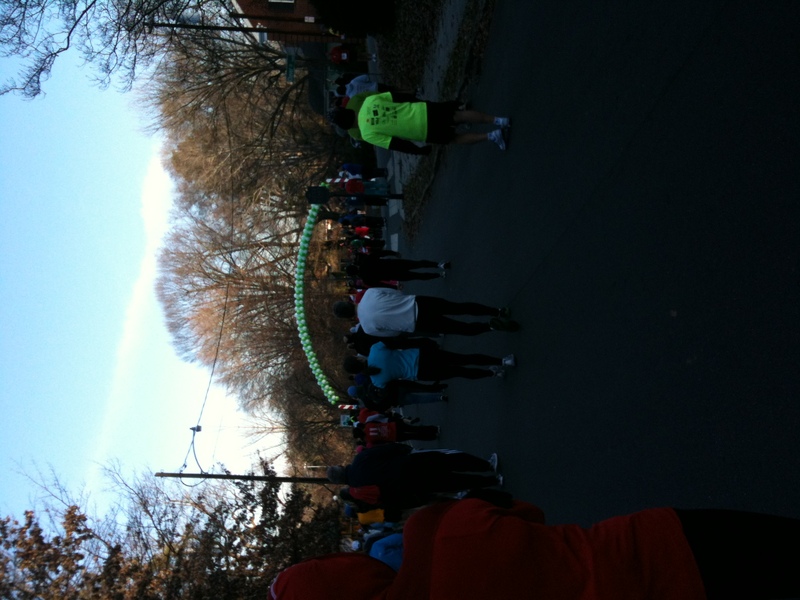 After we saw Tyna off, Jenna and I made our way down to the 5k starting line. There were so many families, kids, and people of all ages at the starting line. It was awesome to see how active the community is here. 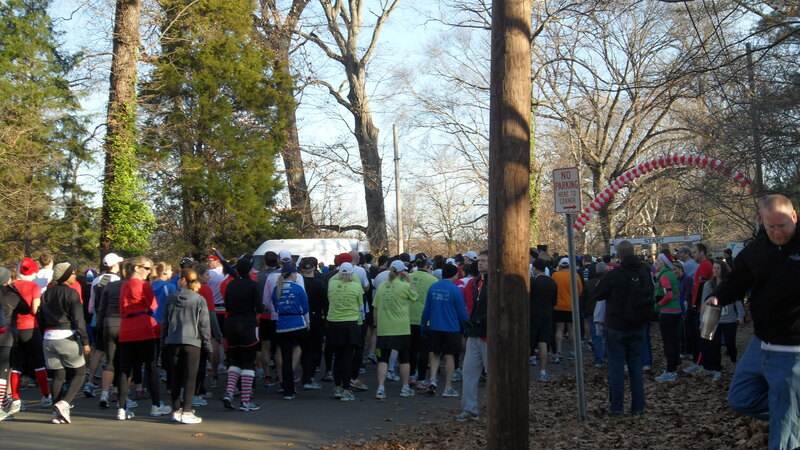 Our 5k began and we were off! Well, sort of. Let me back up. I signed up for the race just 4 days beforehand, a record of cutting it close for me. I wasn’t sure if I would be running or walking the race because of my hip, but I was pretty sure I wouldn’t be running. Thursday (2 days before the race) I tried to run 3 miles in hopes of me being able to run the 5k. I’ve been on a 2 week running hiatus for a painful hip. At my sports medicine doctor appointment a few weeks ago, he said I should try to run a few days before the race and see where I stand. I didn’t get very far. The run felt awesome but I could only run 1 mile until my hip started hurting. I was trying not to get my hopes up because for the first ¾ mi I felt back to normal, so excited, endorphins pumping, I was back to doing what I love. After the ¾ mi, I started to feel pain in my left hip. I wanted to see how far I could go because I wasn’t sure if I was being over cautious and just imagining the pain because I was so worried about it, or if it was physically there. It was definitely there and after a mile I had to stop. 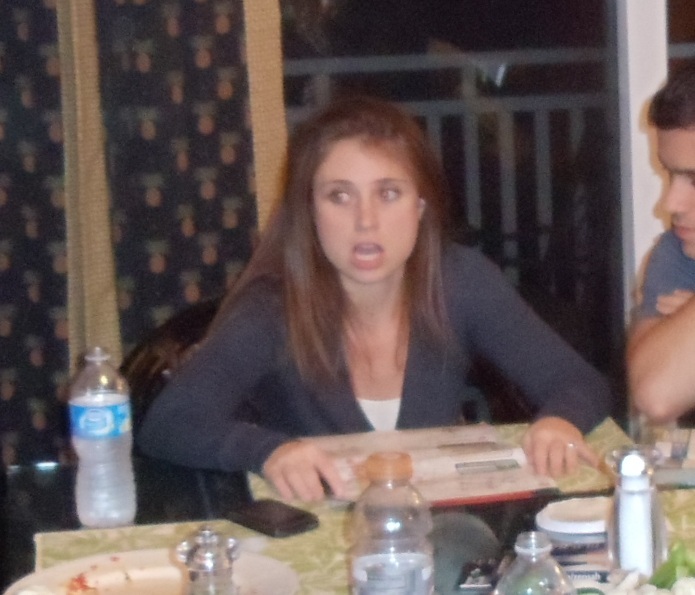 So that pretty much determined my “race” on Saturday. No running for me. I planned on walking the whole 5k. Jenna walked with me for about a mile of the race, maybe more, then ran to the finish. I kept walking and saw a completely different race than I normally see. I saw 70 year olds running, I saw groups of middle-aged women walking and running, I saw kids running with their parents, I saw kids running with an organization called “Girls on the Run” and for most of them it was their first race ever. So exciting to watch them. I finished in 46 minutes with little hip pain during the walk. As I was coming in for the finish I felt a little embarrassed with all the runners flying past me, but I had to remember why I was in this situation to begin with. I also didn’t want to push myself to run when I knew it would be doing me more harm than good. Still, my pride took a little hit. I guess more accurately stated, the experience was pretty humbling. Exactly 1 month ago I ran a full marathon and today, I’d do just about anything to run a 5k pain-free. It really made me reevaluate my road to recovery. I met up with Jenna after crossing the finish and we went to the food tents. They had the best spread of treats I’ve ever seen at a race! 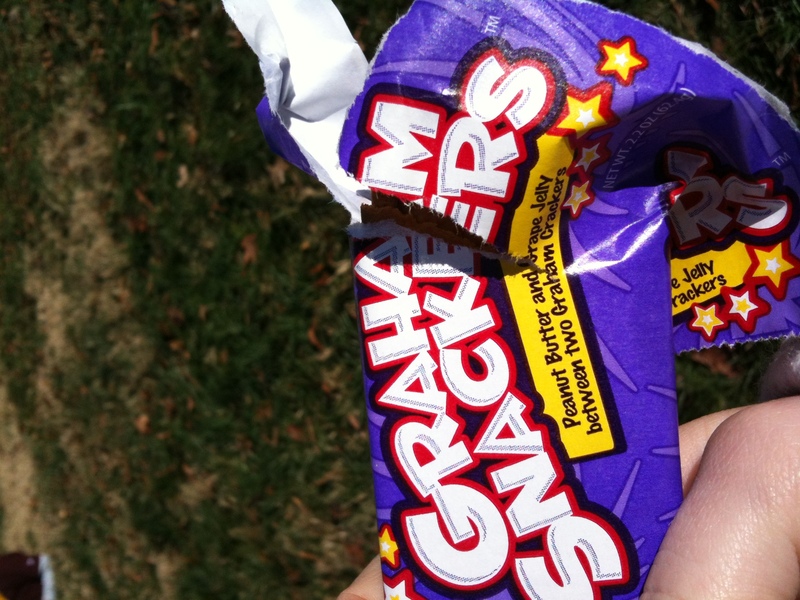 They had the usual bananas, peanut butter, water, sports drink, but they also had these pre-made PB&J graham cracker sandwiches that were pretty yummy. Yes, I realize this is elementary school food and highly processed. 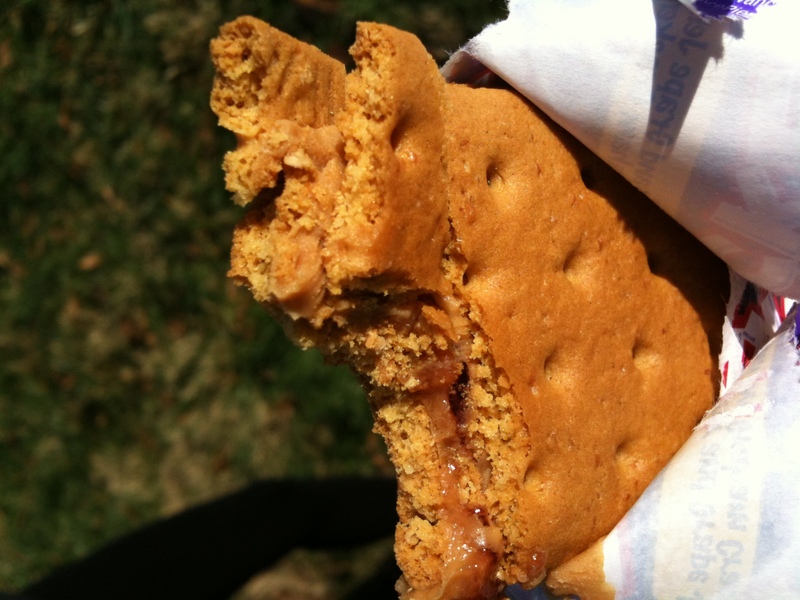 I can’t deny PB&J though, seriously so addicting. The best part of all was that Panera catered! There was a variety of breads to choose from and they even had cups of warm chicken noodle soup. Perfect since it was maybe 45 degrees outside. 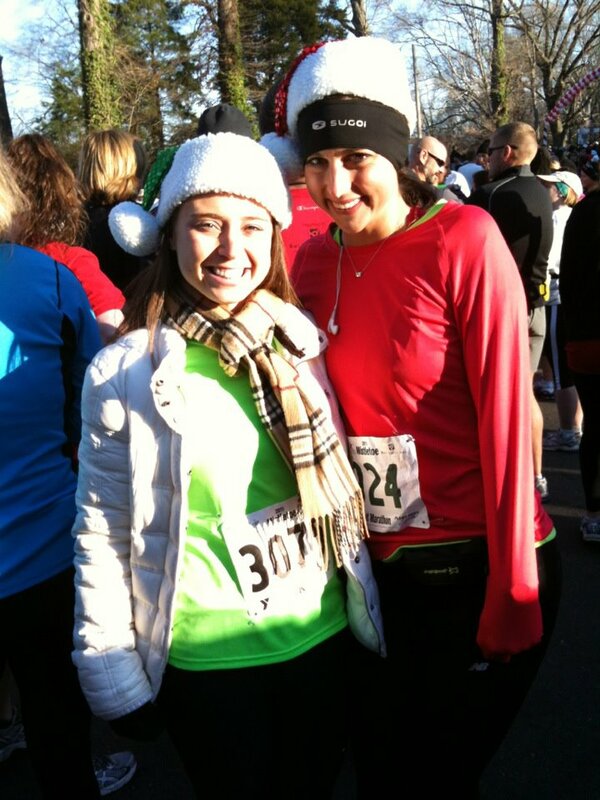 After we enjoyed our warm cups of soup we tried to find our car so we could go meet Tyna at mile 10 to cheer her on. Unfortunately, we misplaced the car so we ended up missing her. We decided just to stay down at the finish and see her there instead. 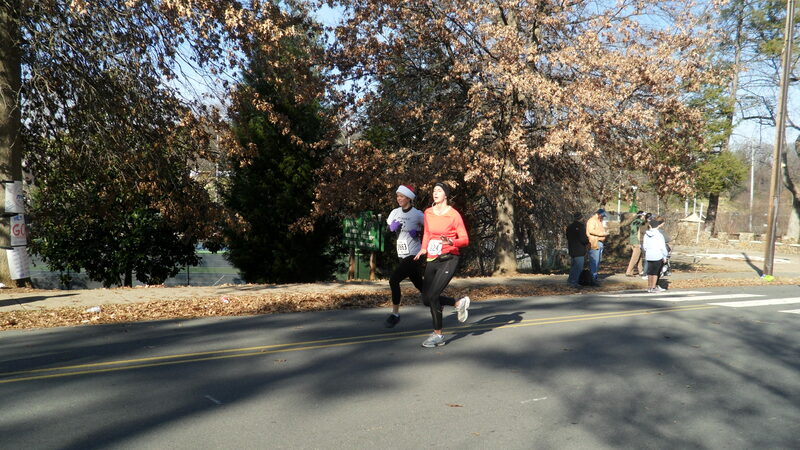 Jenna waited between mile 12 and 13 so she could run the last leg with Tyna. I stayed closer to the finish line and waited for her there with her boyfriend’s brother and girlfriend who drove up from Charlotte just to cheer her on! We saw her coming around the bend and cheered for her as she began her sprint towards the finish line. She finished under 2 hours which was her goal (and AWESOME! ), so although it was a hilly course, Tyna was super happy with what she had accomplished..and with only 4 weeks of training! Talk about determination! After the race we went to Foothills Brewery in downtown Winston-Salem and grabbed a celebratory beer and some lunch. It was a great way to end an exciting morning and a perfect place to warm up! Next year, I definitely want to run this race. The organization of the race was well done, it’s a local race (no traveling or hotels required! ), and it’s benefitting a great cause. 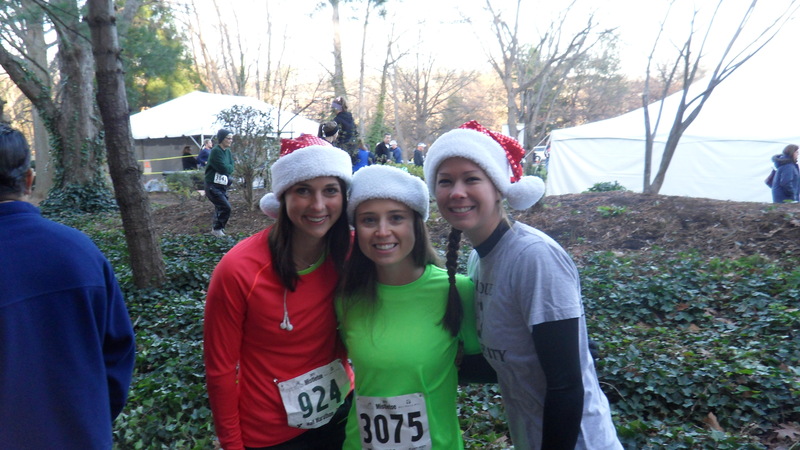 Did you participate in any holiday races this weekend or have one coming up?